Complementing our other departments is our general engineering section. It could be said that our foundation was built on this service. Our reputation for tackling the most difficult challenges was quickly gained and, to this day we continue to build on it. From something as simple as extracting a broken bolt to making jigs and fixtures for the aerospace industry or press tools for the automotive sector, we rise to the challenge. 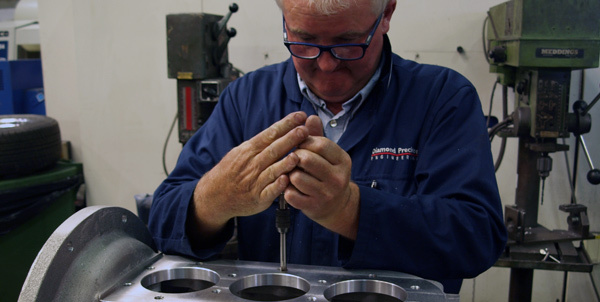 With 30 years trading experience in engineering we offer quality, rapid and economic solutions. We are, of course, ISO9001:2015 accredited. We pride ourselves on providing a complete engineering service, being big enough to cope and small enough to care. Having many process in house, under one roof allows our departments to work together. This gives use the ability to offer a combination of our services included in one product. Based out of our modern, well equipped premises on the Wirral we have quick access to many transport links giving use the ability to cater to a wide range of areas with our fleet of vehicles, so if you can’t get to us we can get to you.